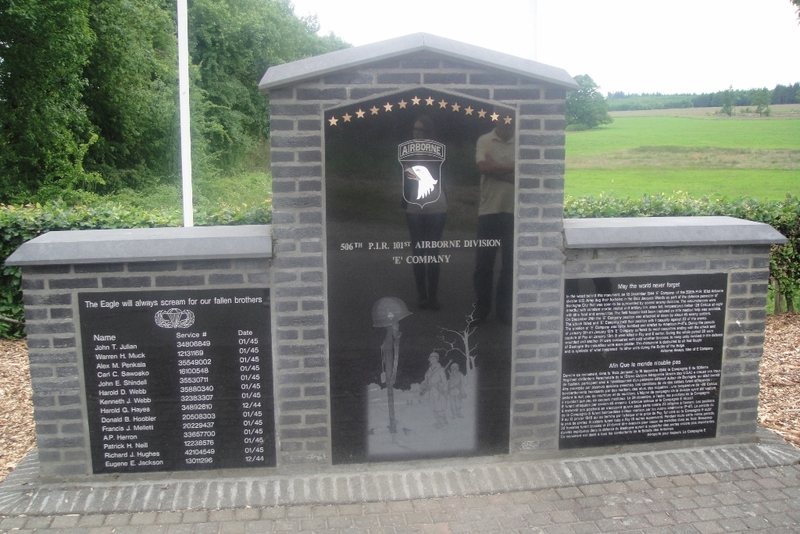 Recently I was able to spend a day in Bastogne in Belgium tracing some of the history of the Battle of the Bulge. Unsurprisingly, much of the town is given over to the tourist trade, and in particular the story of the 101st Airborne. This was further immortalised in Stephen E Ambrose’s Band of Brothers, which focused on the story of Easy Company, 506th PIR, 101st Airborne, and the subsequent HBO TV mini-series that was a global success. 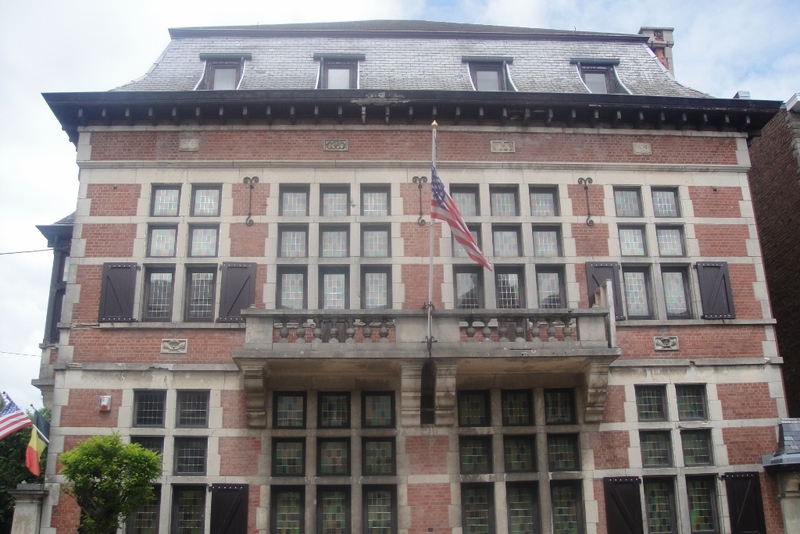 The town itself remains one large museum to the Battle of the Bulge, 16 December 1944 – 25 January 1945, which is otherwise known as Le Bataille des Ardennes. Bastogne was central to the fighting, it’s network of 11 hard-topped roads providing essential routes for tanks through otherwise heavy countryside. It was defended throughout by the 101st Airborne, along with Combat Command B of the 10th Armored Division who became encircled in the town. For a the visitor, this therefore makes it a great place to explore, but one that needs more than one day (which regrettably I didn’t have!). 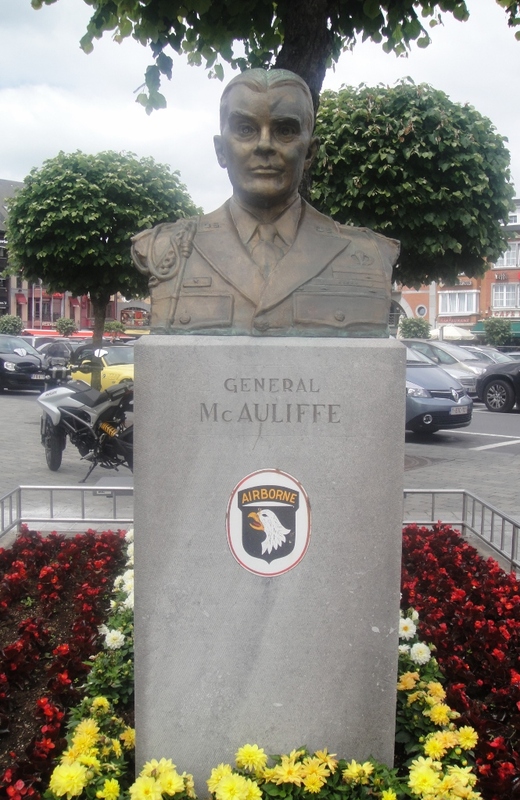 The main square is now named Place General McAuliffe, and there is a statue to honour the acting commanding officer of the 101st throughout the siege. 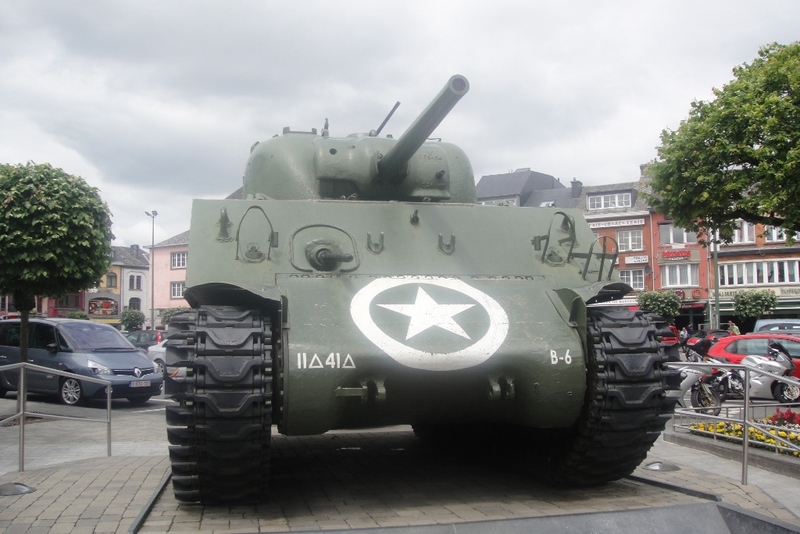 Alongside this statue is the most photographed monument in Bastogne, a M4A3 Sherman tank that had served in the 41st Tank Battalion, Company B of the 11th Armored Division. The tank, called “Barracuda”, was under command of Staff Sgt. Wallace Alexander, was put out of action near Renaumont, a few kilometres west of Bastogne, on 30th December 1944. It still shows some battle scars, including a hole where a German shell penetrated the armour on the left hand side, with another at the rear of the tank. 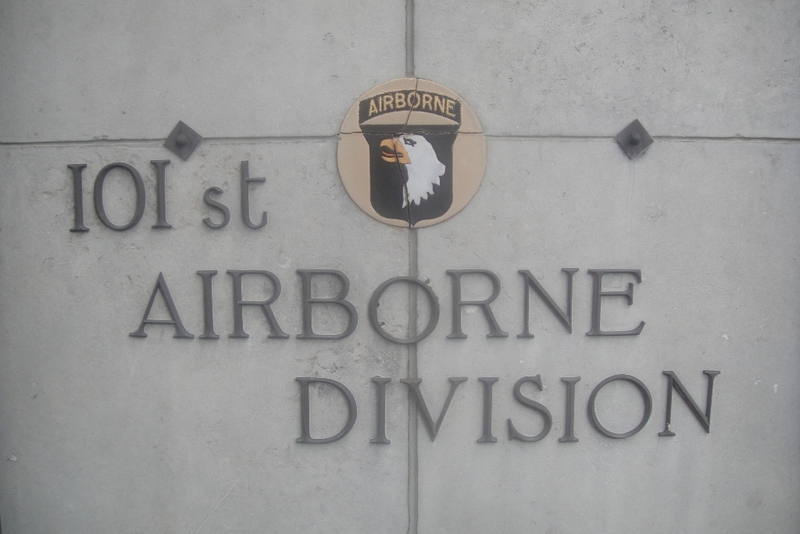 However, the major attraction of a visit to Bastogne, much because of Ambrose’s book and the subsequent TV series, is the opportunity to walk the same ground as Easy Company. While there are no direct signs, I found that this is actually fairly easy to do. For starters, there’s the Airborne Museum inside the old officer’s mess near Place General McAuliffe. However, I was keen to get out in the field, so headed away from the town centre. 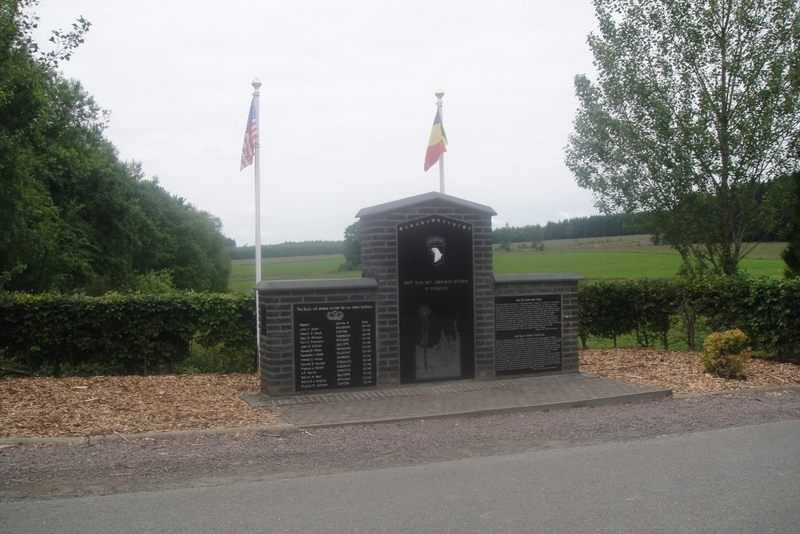 The first stop was on the Bizory-Foy road, for the specific Easy Company memorial. 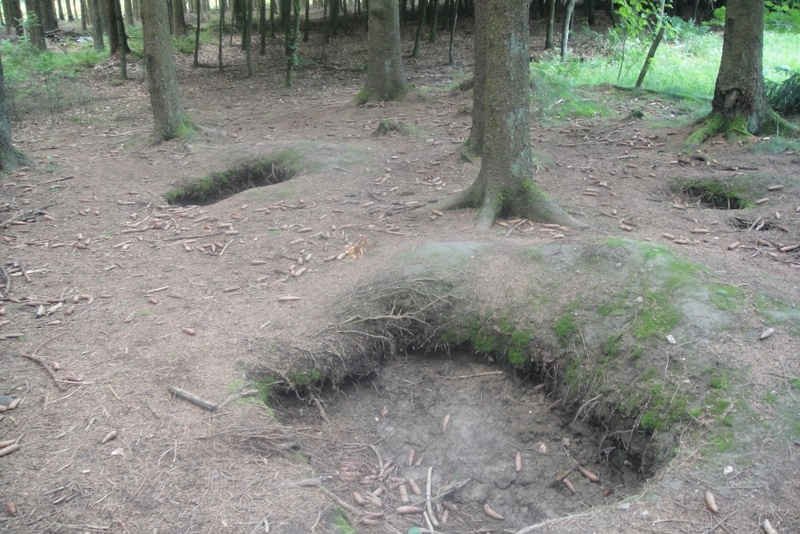 This is actually located closer to the hamlet of Bizory, which is to the North-East of the centre of Bastogne. 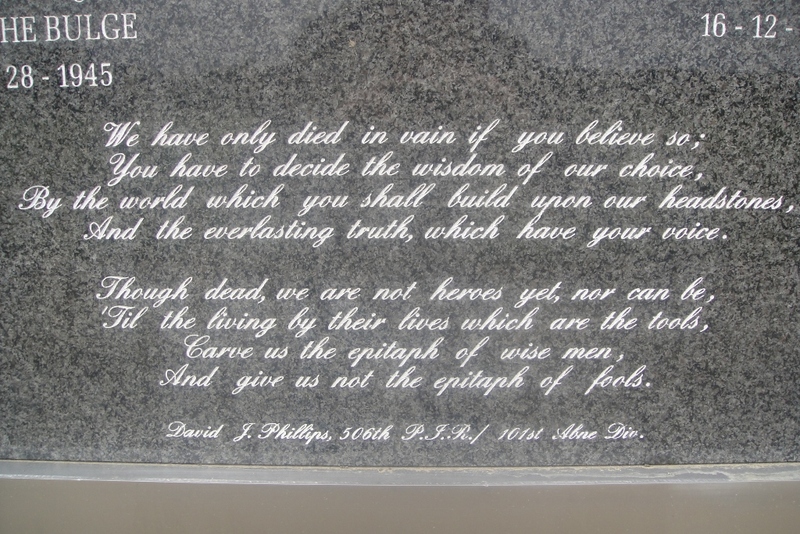 It commemorates the 14 men killed during the Battle of the Bulge, and was dedicated on 10th June 2005. 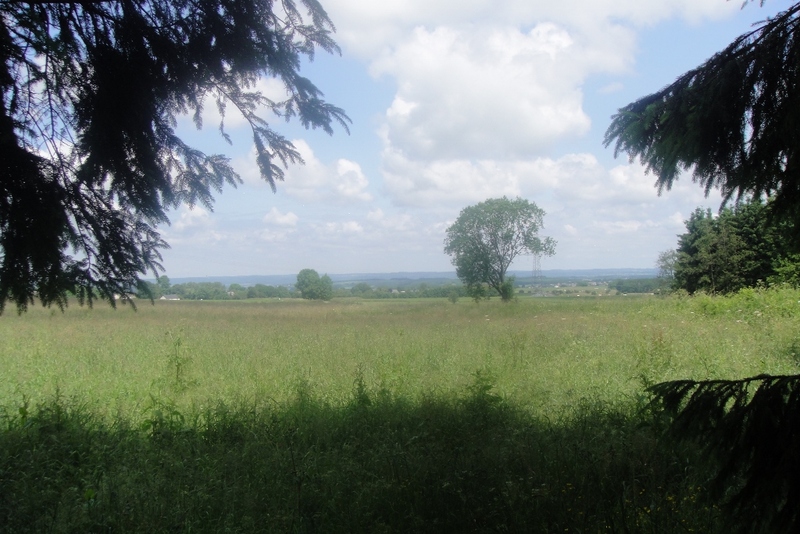 Following the road onwards towards Foy, I began to pass through the Bois Jacques. It was here that Easy Company took up positions and were extensively shelled before attacking the town of Foy on 13th January 1945. 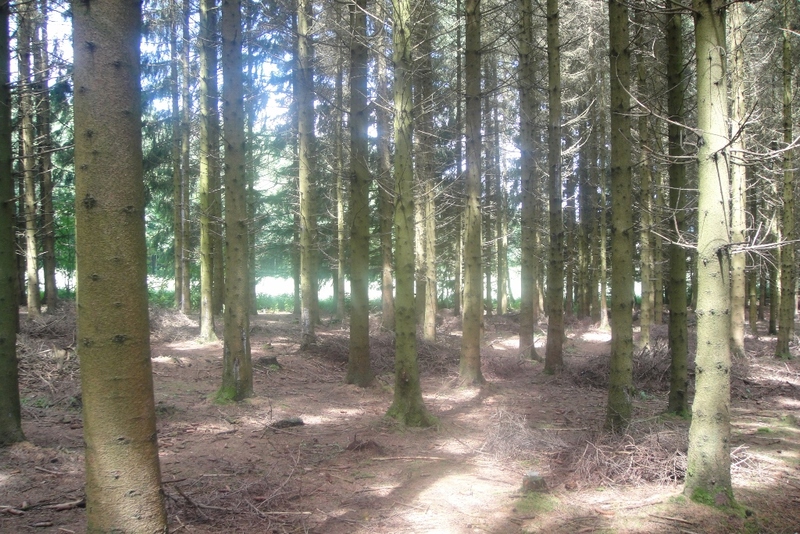 I was keen to see if I could find any of the old positions, but was a little sceptical given that the forest is logged commercially, and so has been subject to substantial change. Pulling over on the side of the road I was able to wonder between the pines. It’s a very peaceful place today. From here, you could see out across a broad front and down into the town of Foy, which in 1945 housed a German force. The town is just beyond the electricity pylon behind the tree in the foreground. As you can see, there was a lot of open country to cross before reaching what remains a tiny town. We passed through on our way to rejoin the main road to Bastogne. 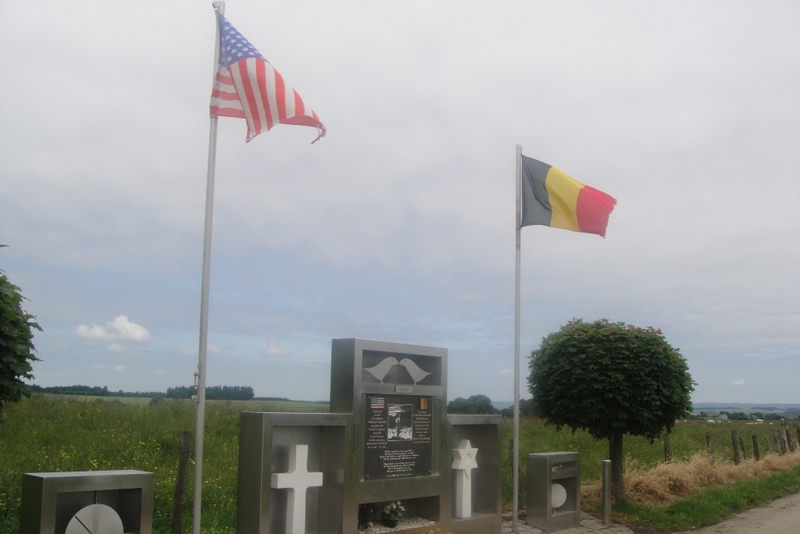 On the other side of Foy there is another poignant memorial, though unrelated to Easy Company, marking the site of the original US cemetery at Foy, one of several containing the casualties, and which held 2,701 US troops killed during the Battle of the Bulge until 1948. I would certainly recommend a trip to Bastogne to anyone who’s in the area. I only had a few hours but was able to cram in a lot, as the battlefield is quite small. The town of Bastogne itself is also really nice, and would be a good base from which to spend a few days exploring the site more fully! Thanks for posting! I’m visiting France and Germany this xmas and am making my own battle of the bulge tour with a focus on E Company. What would you have done if you had more than one day? Thanks, Doug, I’m glad you enjoyed the post. There’s a surprising amount to do in the Bastogne area, with a few small museums of varying quality. One I didn’t see but wanted to was in the Army barracks just off the main road. In terms of specifically focusing on E Company, the thing I enjoyed most was just walking through the Bois Jacques and down to Foy, so I’d leave a couple of hours for that. To get there, head North-East out of Bastogne on the N874, then turn left onto the Rue de Clervaux and then bear left onto the Route de Bizory, heading for the village of Bizory itself. Pick up signs for Foy and you’ll start heading north. If you clear Bizory, you’ve gone too far. On that road you’ll find the E Company memorial, as well as run through the Bois Jacques. Once you get to the treeline above Foy, work back and dig deeper to find some of the old positions. You can then travel down into Foy itself, past some old barns that still show battle damage from ’45. At the bottom of the village is a crossroads. 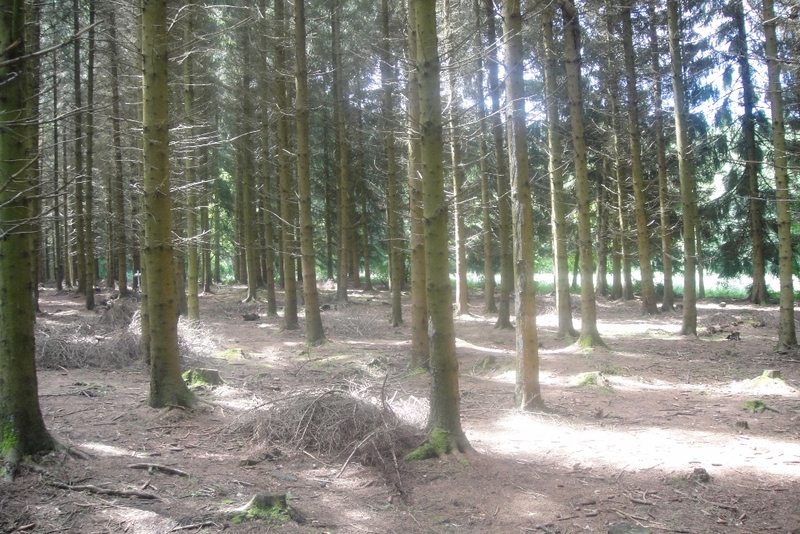 If you head straight over you’ll come to the site of the original cemetery for those killed during the Battle of the Bulge, before the dead were moved. In terms of other sights, the Mardasson Memorial is also an absolute must and by the time you visit the new visitor centre may be open so will be worth having a look around. The cellar where McAuliffe famously said “Nuts!” can also be visited. One thing to think about is the weather – there could well be snow on the ground, and from my experience in other rural areas it can be A LOT. The majority of roads described above are track lanes, so may well be treacherous. I don’t know what mode of travel you’re taking, but snow chains or snow tyres will be a must if there’s been any snowfall. Enjoy your visit, let me know how you get on! Thank you for sharing In the Footsteps of Easy Company in the Battle of the Bulge | PETER JOHNSTON’S BLOG. Thank you for your well written description and directions. I’m heading here in April. Only have one day and really wanted to walk the woods and find the foxholes. Now I can!